We can offer you a local pick up and drop off service for parties of six or more in our luxury vehicles, our aim is to make your visit to The Rocks as pleasant, easy and memorable as possible – Call 01368 862287 to arrange. 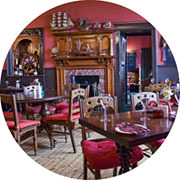 As well as a fine dining experience The Rocks can also offer accommodation so you can enjoy the sunny Dunbar weather and take in the wonderful scenery that surrounds us. 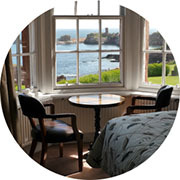 The Rocks has 12 rooms, which all enjoy superb views across to Victoria Harbour and the ruins of Dunbar Castle, or over to Winterfield Golf Course and Belhaven Bay. All of our rooms are en-suite, have colour television, and have been thoughtfully decorated to make your stay as comfortable and enjoyable as possible. We also have one luxury suite with, jacuzzi bath and balcony patio. To reserve a room, or to find out more information please telephone on 01368 862287.